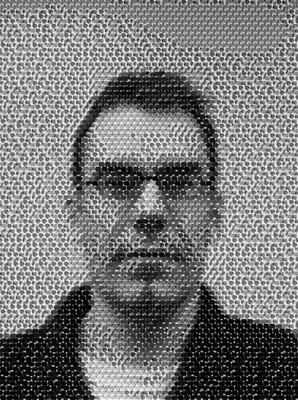 Born in Uppsala, Sweden (1962), Torbjörn moved to The Netherlands in 1969. He received his academic education, majoring in Physical Geography, at Utrecht University (MS, 1988; PhD, 1993). His PhD research, supervised by Henk Berendsen and Ward Koster, dealt with the Holocene evolution of the fluvial part of the Rhine-Meuse Delta. The following six years he worked on a variety of postdoctoral projects based at Utrecht University and Louisiana State University, and in 1999 he accepted a tenure-track position in earth and environmental sciences at the University of Illinois at Chicago. He arrived at Tulane in 2005, three days before Katrina made landfall. 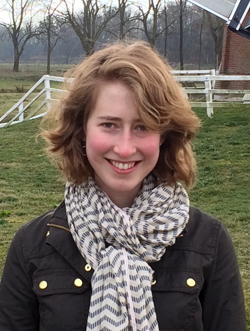 Elena is an isotope geochemist, geochronologist and paleoclimatologist who joined Tulane in 2016, right after receiving her PhD from MIT where she worked on the late Quaternary evolution of Lake Bonneville. Her BA degree in Environmental Science (2010) is from Barnard College at Columbia University. At Tulane, Elena focuses on developing high-resolution records of early Holocene sea-level change and combines this information with glacial isosatic adjustment modeling. More about Elena's work will soon be available here. 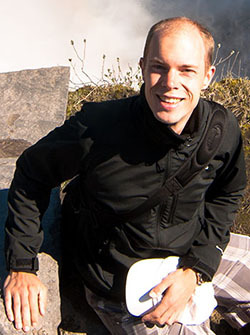 Jaap is a coastal geomorphologist who joined Tulane in January 2016. He received his BS and MS degrees in Civil Engineering from the University of Twente in The Netherlands, and went on to receive his PhD degree from the MIT-WHOI Joint Program in Marine Geology and Geophysics. Jaap's work focuses on numerical models of waves and sediment transport, to better understand medium-term (decadal) coastal change. At Tulane, Jaap will integrate mud and vegetation into morphodynamic models of the Mississippi Delta. Read more about Jaap's work here. 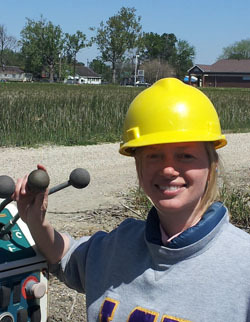 Krista came to Tulane to study coastal tipping points within the context of climate change, as well as carbon sequestration in deltaic environments. After obtaining bachelors degrees in Geology and Political Science from Macalester College (2006) she spent a few years with Teach for America in Memphis, TN, before completing a MA degree in Climate and Society from Columbia University (2010). After that she spent a year in various parts of Asia as a technical advisor with the Red Cross/Red Crescent Climate Centre. 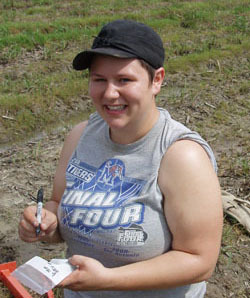 Liz enrolled as a PhD student at Tulane with the objective to write a dissertation about the evolution of the Mississippi Delta, in part based on the application of OSL dating. Her previous degrees are all from Louisiana State University, and include a MS in Geology (2012), as well as undergraduate degrees in Animal Science, English, and Liberal Arts (2007). 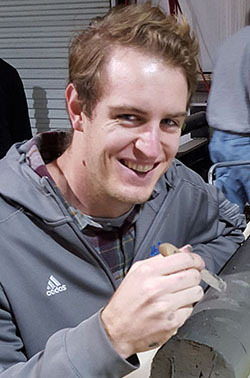 Jon joined Tulane in 2015 to get involved in a multidisciplinary project on coastal subsidence in the Mississippi Delta. His primary responsibility is to examine a nearly 40 m deep core using facies analysis, geotechnical characterization, and geochronology. He obtained his BA degree in Earth and Environmental Science from UCLA in 2014, where he was also a member of the volleyball team.